We have a brand new novella coming out on Monday, March 11! When a photograph of stuntman Rhys Sutton with actor Thomas Monroe is mistaken for something far more than friendship, Rhys is forced to deal with his family’s belief that he has finally recovered from the death of his husband Andy and is ready to love again. Thomas agrees to pretend to be his boyfriend, but Rhys doesn’t realize Thomas’s feelings for him go far deeper and aren’t a pretense at all. Will Thomas be able to break down the wall Rhys has built around his heart? Or will their relationship flounder on the rock of Rhys’s grief? We have a brand-new holiday story this year, which is now available on Amazon! The Grinch Finds Love sale! 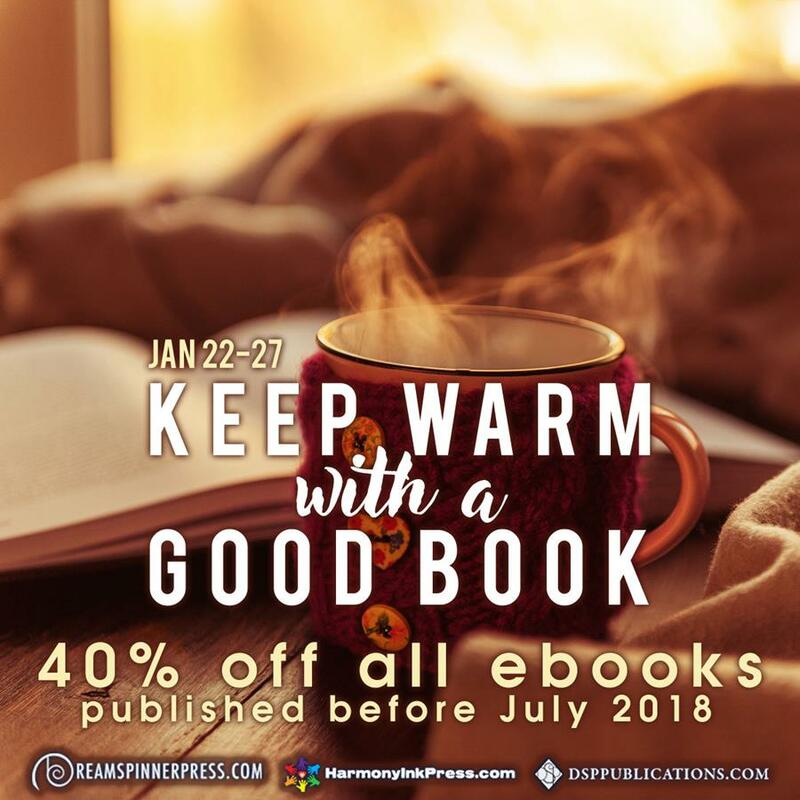 Dreamspinner Press is having a sale on books that feature grinch-like characters! From December 2-6, you can buy these books for only $1.88 each, including our book, Letters from Cupid. So if you’re in the mood for a curmudgeon for Christmas, check out the sale here! Coming next month — a new holiday book! Designer Holiday will be available on Amazon in December 2018! Quenched in Blood now available! The third and final book in the Asheville Arcana trilogy, Quenched in Blood, is now available from Dreamspinner Press!